The 2008 Audi RS 4 offers the best of both worlds for anyone turned on by the guttural sound and performance of a highly-tuned V8 muscle car, but who also demands the sophisticated agility of a European sport sedan. All-wheel drive satisfies those who live in four-season climate zones and crave a high-performance sport sedan that does not have to hibernate during snowy winters. It is Mine. You want it, but can't have it! Fast car. Love that not so many were made. Love the color and black out. Love the power. 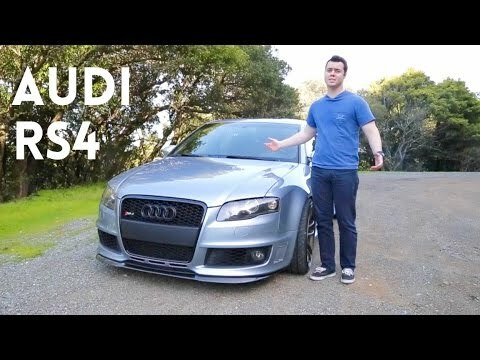 2007 Audi RS4 Review - The Best Sports Sedan Of All Time?